I had the privilege of interviewing Jim Dubois, former CIO of Microsoft last week! In this interview we discuss Microsoft's digital transformation over the past few years, artificial intelligence, cloud computing, IoT, analytics, change management, automation and the future. 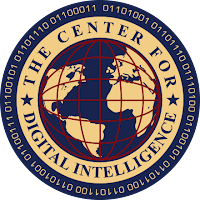 Read more on artificial intelligence from the Center for Digital Intelligence here. There is a new sense of urgency today as businesses realize data is the blood that runs through the veins of a successful business in this digital era, and that data has a shelf life, and the value of it diminishes rapidly over time. In an always-connected world where consumers and their needs are transient, timing is everything and a special type of data is needed - real-time data. In order to capture competitive advantages and contextual relevance before data expires, enterprises must deploy optimized information logistics systems (OILS) that deliver on the potential fast enough to exploit it. Digital consumers are impatient and demand instant results. IT infrastructures must be able to support real-time interactions, and this requirement will increase as mobile commerce is predicted to grow to 47% of all e-commerce by 2018. Supporting real-time information requires not only real-time IT environments, but also digital transformation across the entire organization so the business can exploit it. In order to succeed, businesses must react to location-based and time-sensitive information while it is still contextually relevant. Data is the lifeblood of digital commerce, and increasingly in physical stores as well where the digital and physical worlds are rapidly converging. As commerce rapidly shifts to digital, the success of products, brands and companies are increasingly dependent on data and systems that consume it in order to support the demand for more personalized digital experiences (Read Cutting Through Chaos in the Age of Mobile Me). How an organization makes sense of data, protects it, and disseminates it is a complex and challenging issue. Data strategies and the execution of them will determine the winners of the future, and the future is now. Businesses are learning that effective data and analytics strategies are the secret to success in digital markets (Read How Digital Thinking Separates Retail Leaders from Laggards). Information dominance is now the strategic business goal. In addition to investments in IT, achieving real-time operational tempos in the enterprise takes rethinking business models, organizational structures, decision-making and business processes. It requires new ways of operating and employee training. Supporting real-time operational tempos is a daunting task many have failed to prioritize, and are suffering as a consequence. 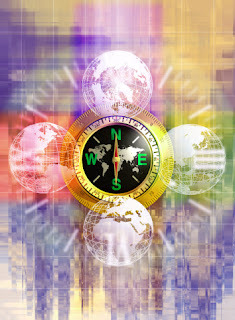 Businesses that embrace digital transformation will optimize their organizational structures and business models to support the operational tempos demanded by a mobile and connected world. By tempos we mean the pace or speed at which the organization must operate to compete successfully. Increasingly digital users demand real-time responses. To support real-time responses requires an enterprise to move beyond “human time” and into the realm of “digital time” (Read 40 Months of Hyper-Digital Transformation). Humans are biological entities that operate at a pace governed by the sun, moon, and the physical requirements that keep our carbon-based bodies alive. These requirements and mental limitations make scaling humans beyond these time-cycles impossible without augmentation. Augmentation takes the form of robotic process automation, artificial intelligence, machine learning and algorithms. These types of augmentation technologies have the advantage of being able to work 24x7x365, and don’t as yet ask for holidays off. Once an organization is capable of supporting real-time business tempos, and can support the personalized interactions digital users demand, the challenge becomes business agility. Agility is the speed at which a business can recognize, analyze, react and profit from rapidly changing consumer demands in a hyper-competitive market. Businesses that can accurately understand customer demand and their competition, and then respond faster, will soon dominate those, which are slower. The military strategist John Boyd called these competitive advantages, “getting inside of your competitor’s decision and response curves.” This means your actions and responses are occurring at a pace that surpasses your competitions’ ability to understand and react. Businesses must recognize the demand for real-time operational tempos is only going to increase and this requires strategy, action and a budget. One of my rules based upon experience is the following, “As the number of digital consumers and interactions increase, so also will the need for more speed, digital transformation and automation.” They go hand in glove together. Delaying a response, or denying the need for these requirements are not winning options. To succeed in the digital future, leaders must implement innovative data strategies and information logistics systems capable of winning in a real-time world where contextually relevant, instant and personalized experiences are required. They must develop company cultures where change is viewed as an opportunity. They must digitally transform their businesses to operate at real-time tempos and move beyond “human-time” limitations to algorithm and automation supported “digital-time.” They must understand that rapidly changing digital consumer behaviors mandate companies operate in a more agile manner capable of rapid responses to new opportunities and competitive threats. 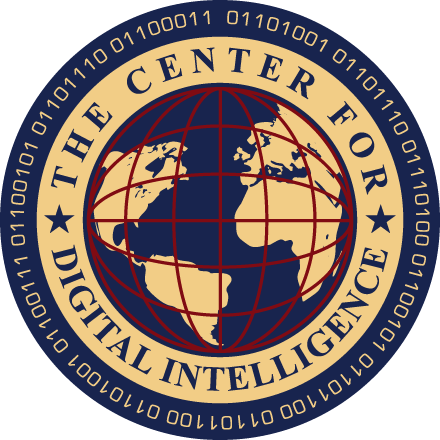 Read more from the Center for Digital Intelligence here. In this Silicon Valley Series I have the privilege of interviewing very smart and experienced Silicon Valley veterans on a variety of important business trends, technologies and strategies. I hope you find this series of short interviews interesting. In this episode, experienced Silicon Valley CEO Tom Thimot and I discuss the Industrial Internet of Things (IIoT), analytics, artificial intelligence (AI) and digital transformation, and how it all plays a role in operating a more precise business that leads to competitive advantages. In this episode of the Digital Expert Series, we dig deep into the Industrial Internet of Things (IIoT) with AMI Global's expert Terrence O'Leary. We learn about all the various components in the IIoT ecosystem including sensors, analytics, security, AI, machine learning, and the competitive advantages available and the strategies employed.